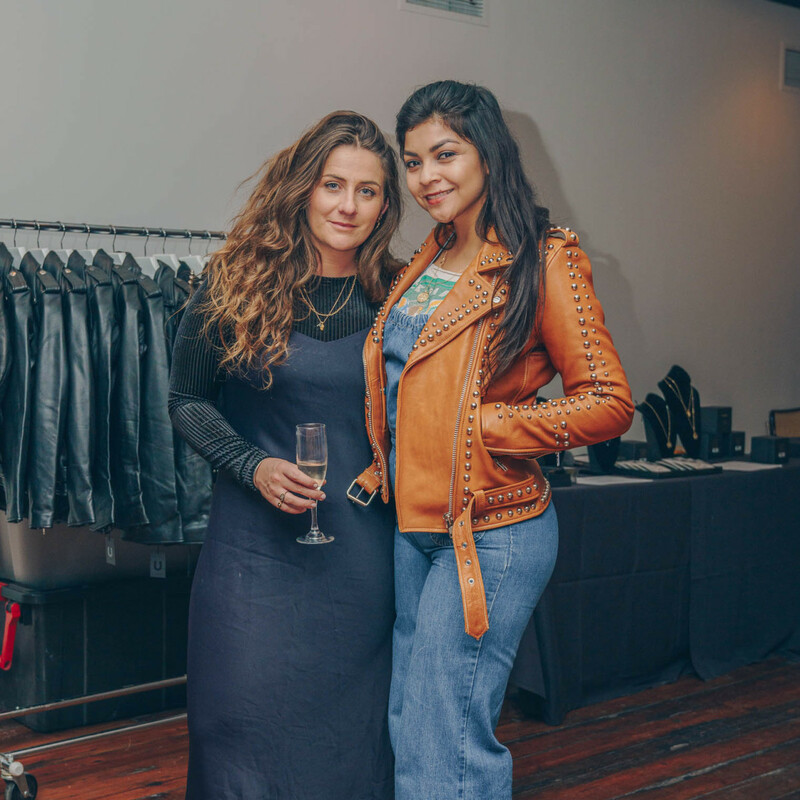 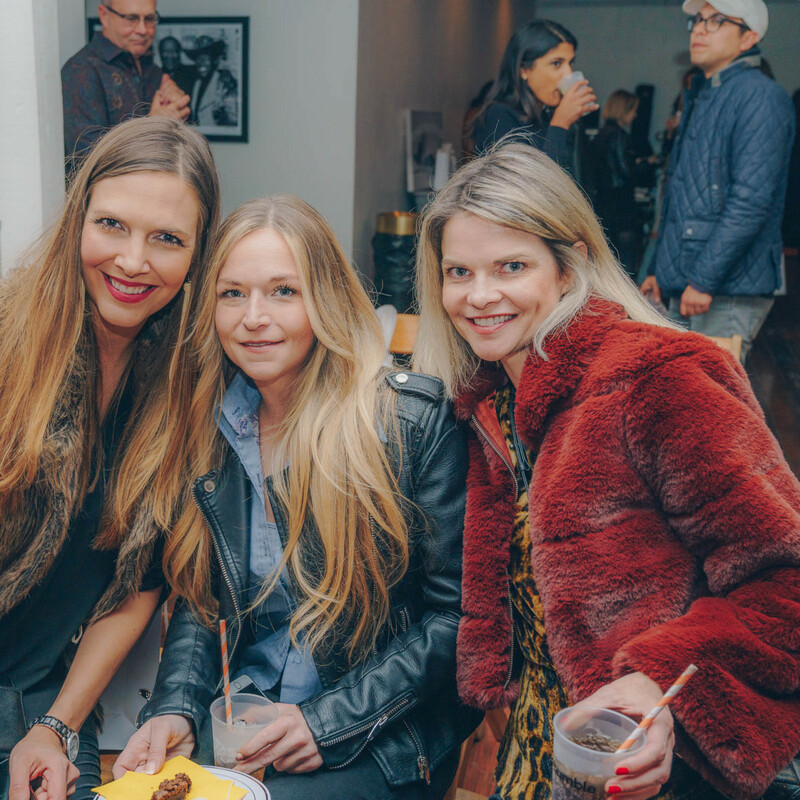 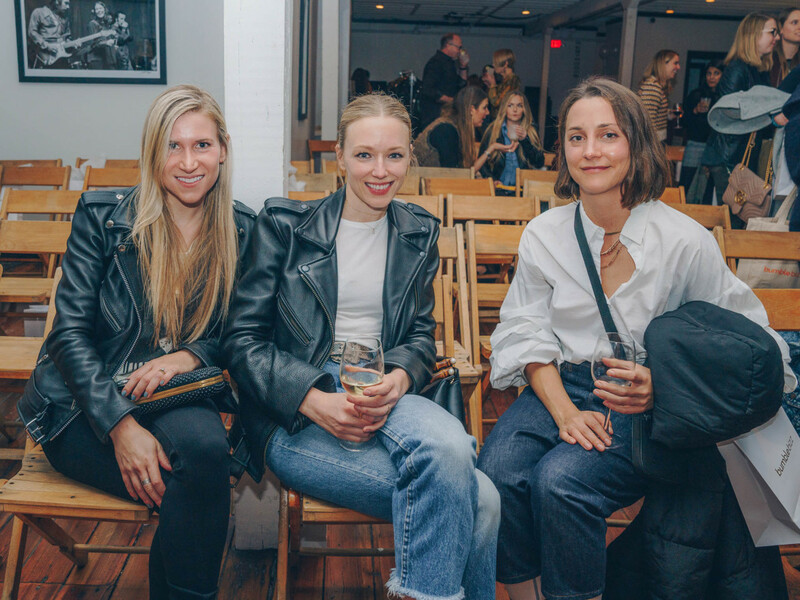 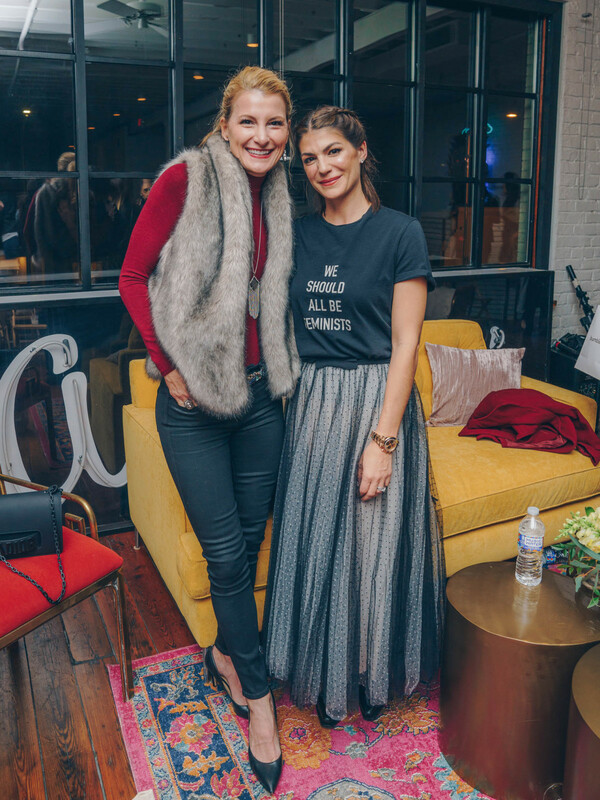 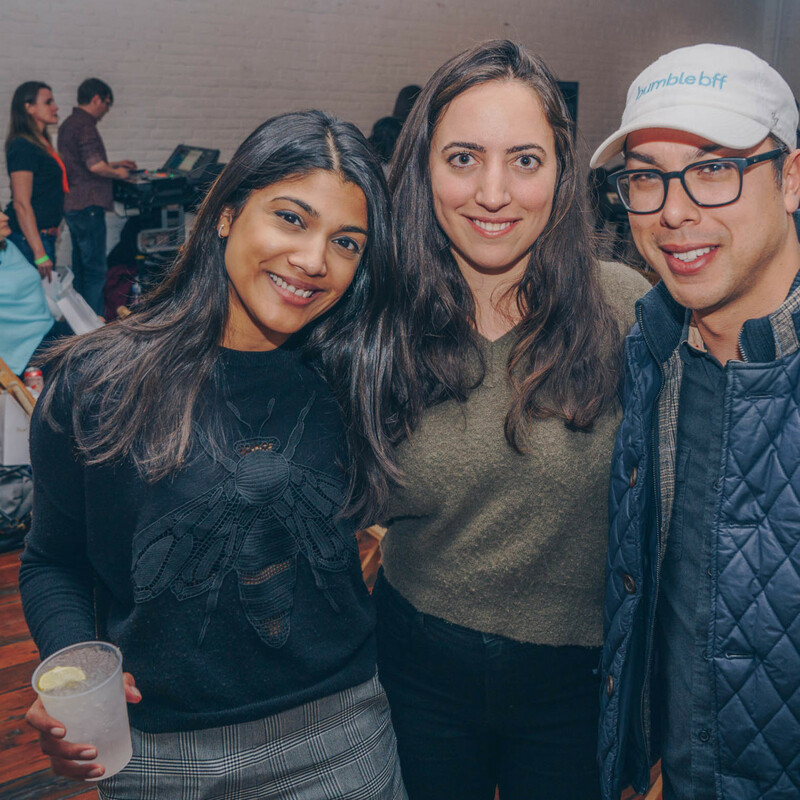 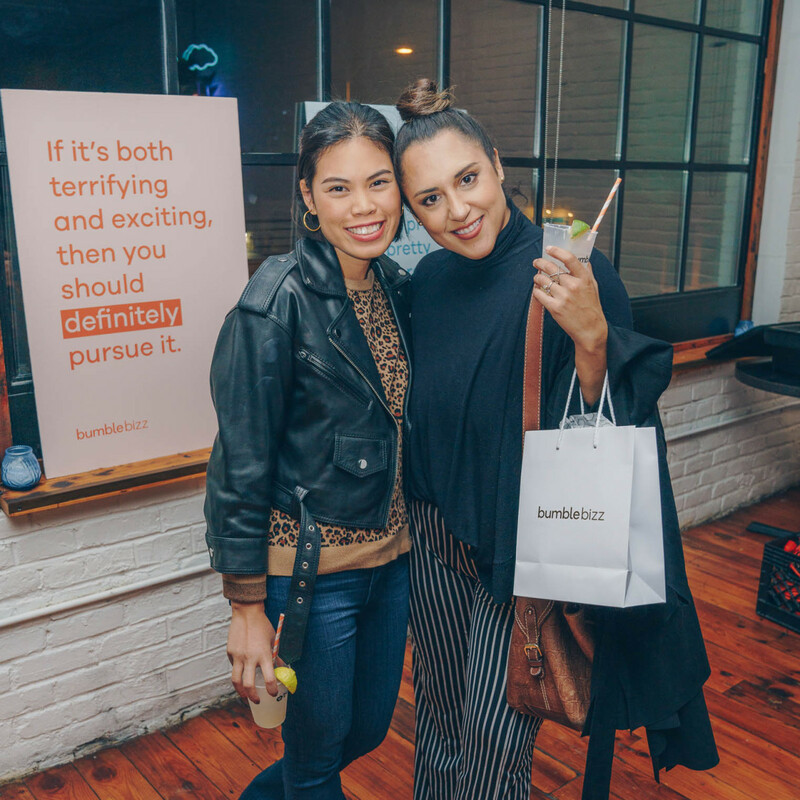 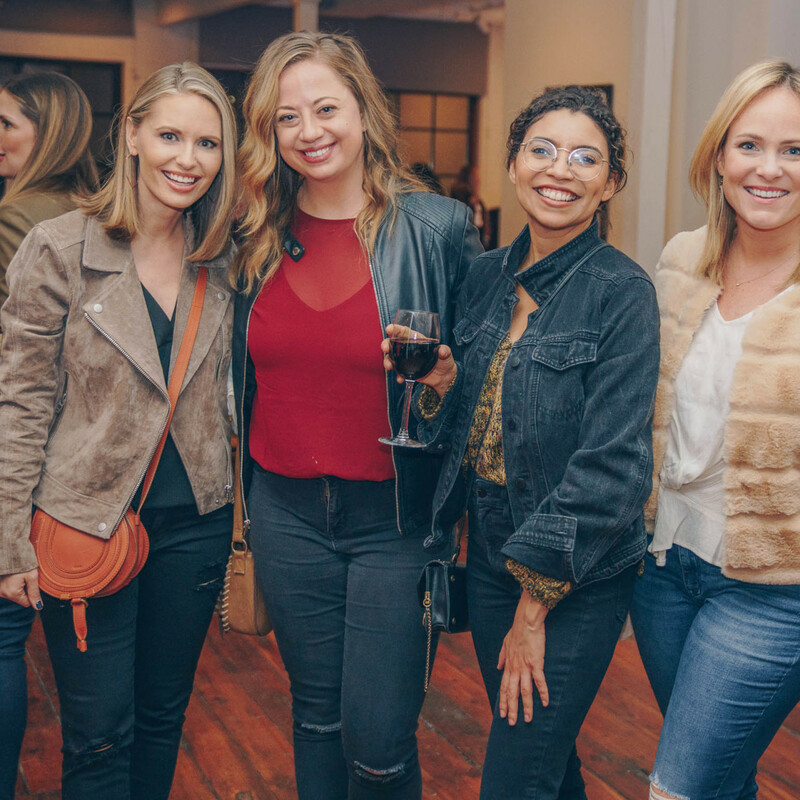 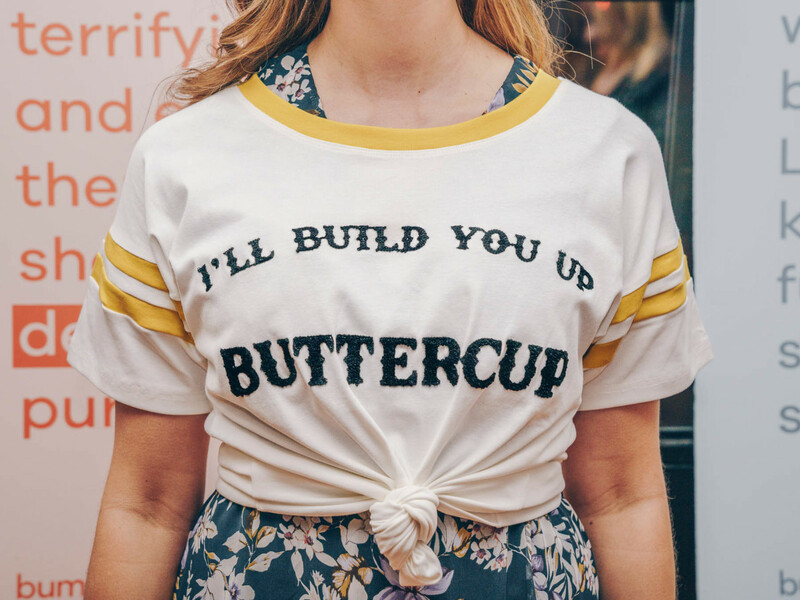 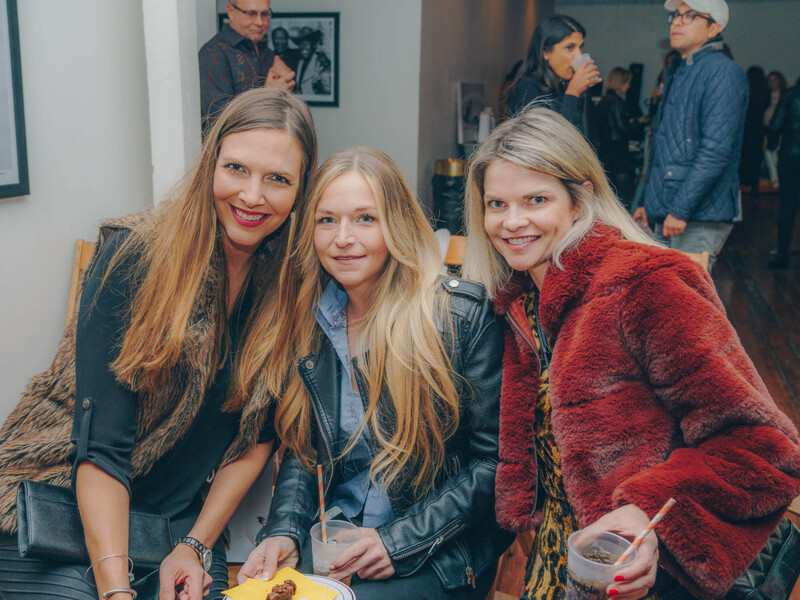 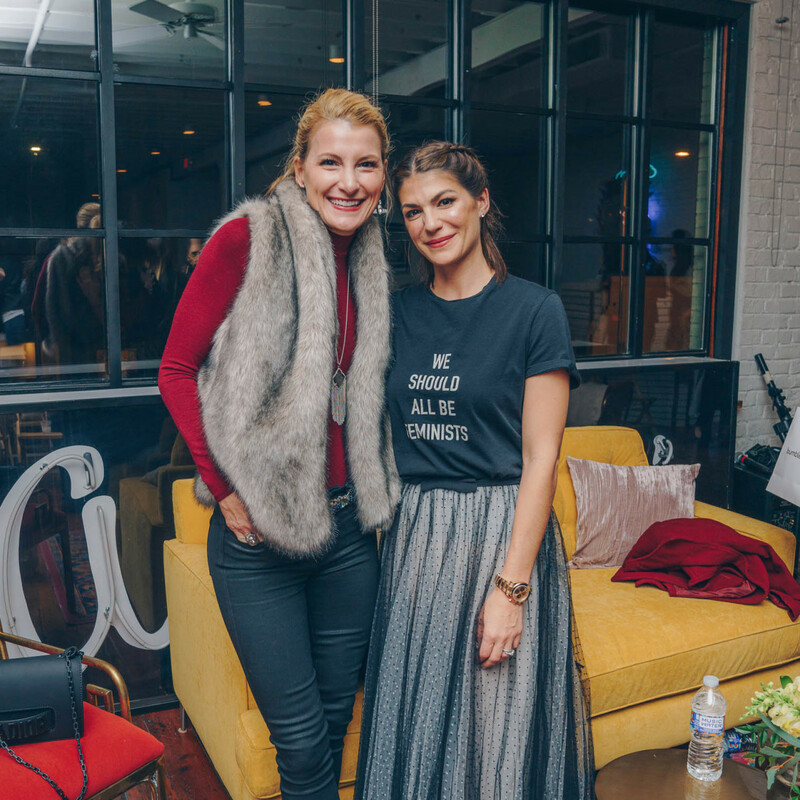 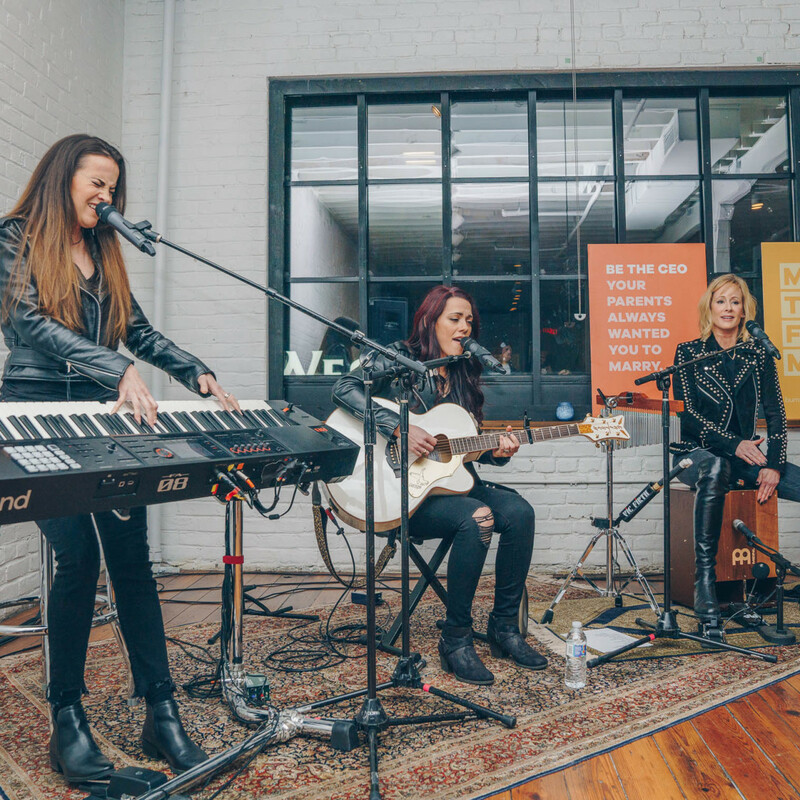 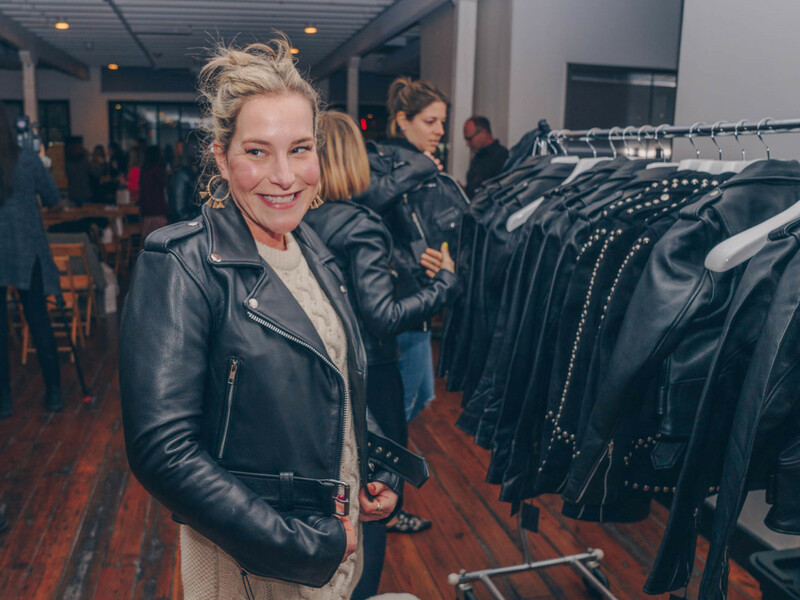 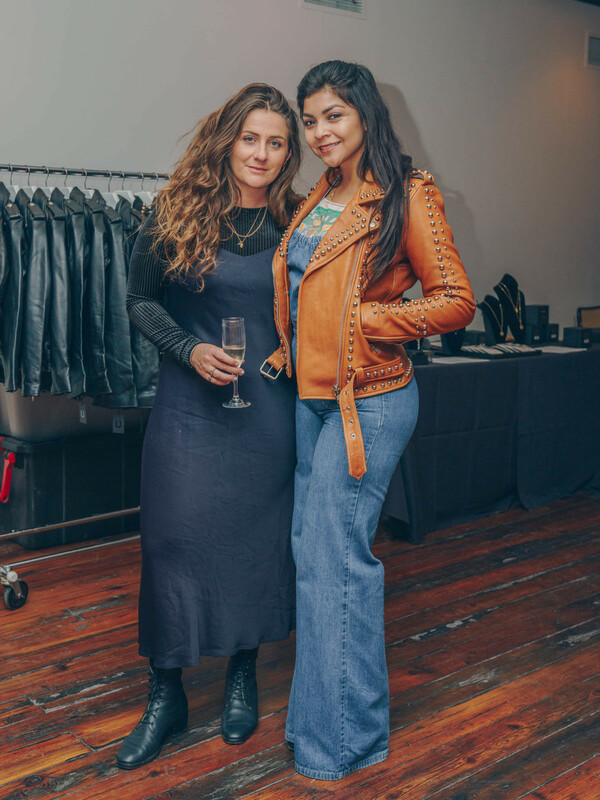 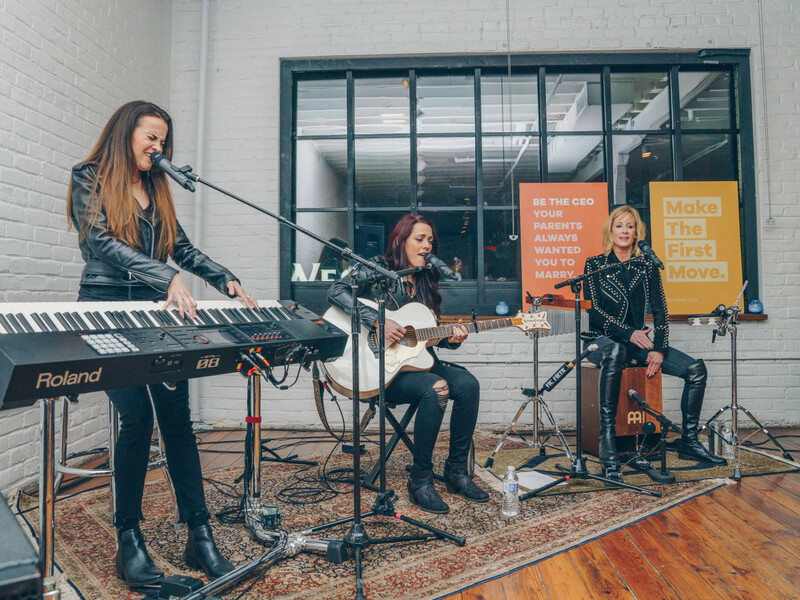 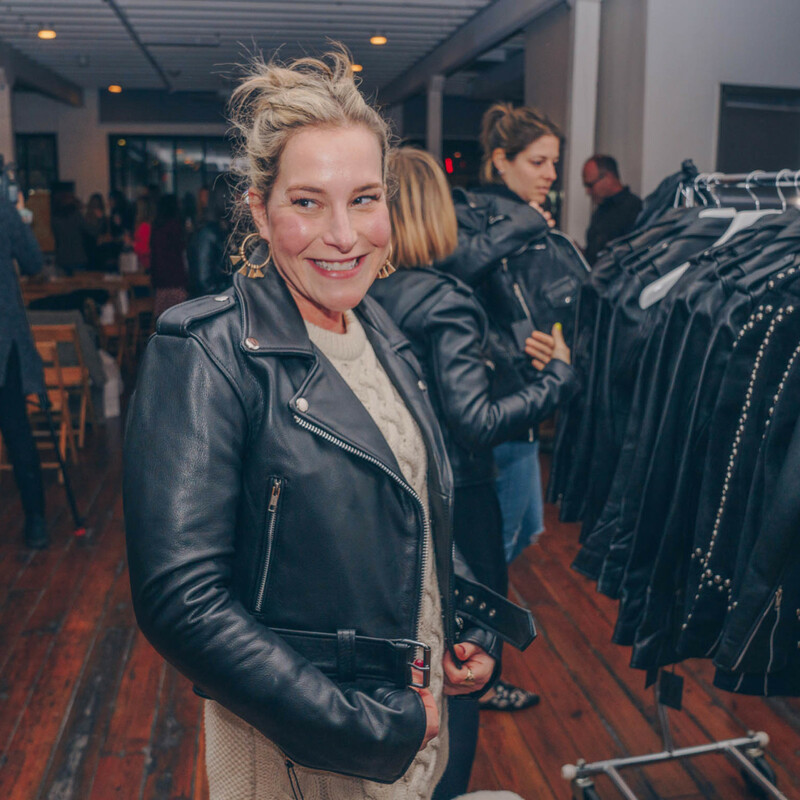 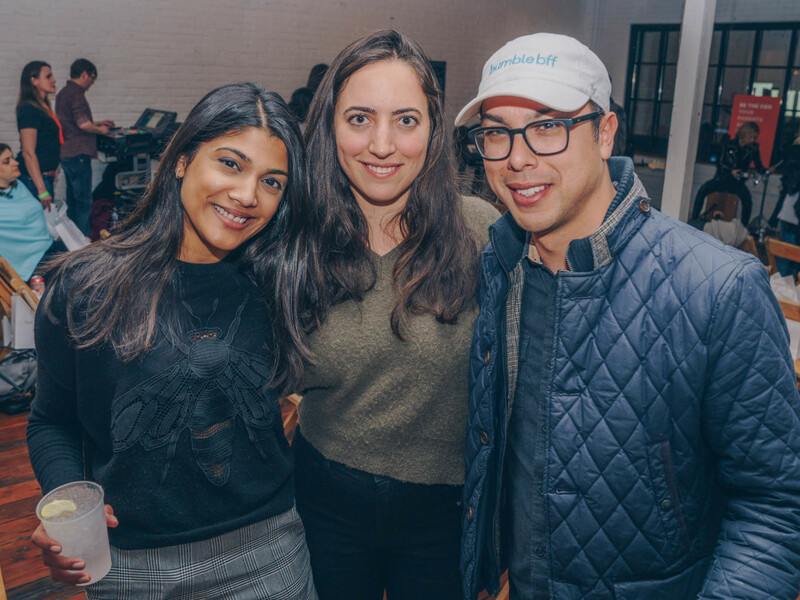 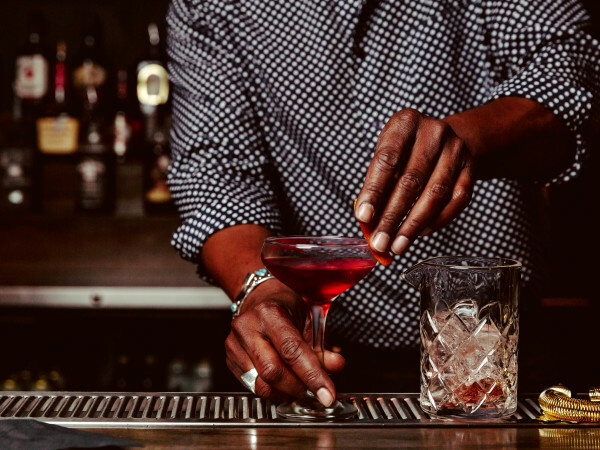 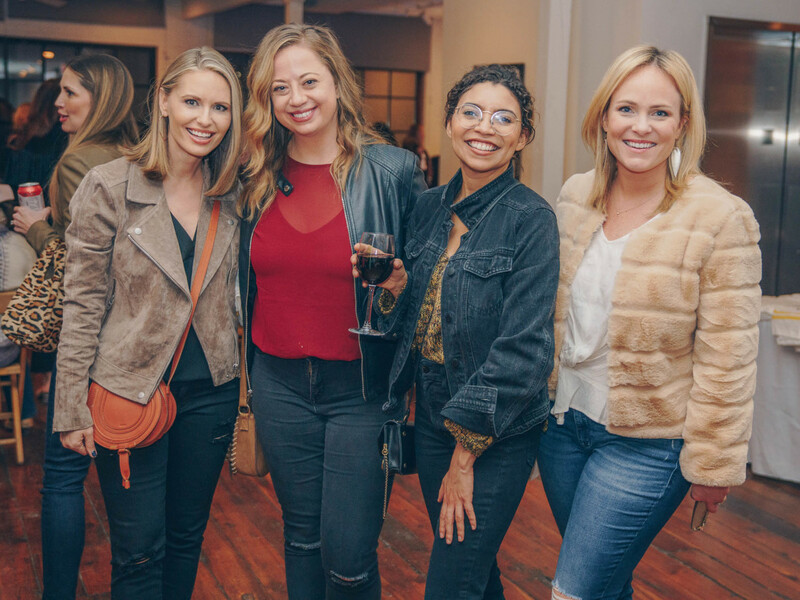 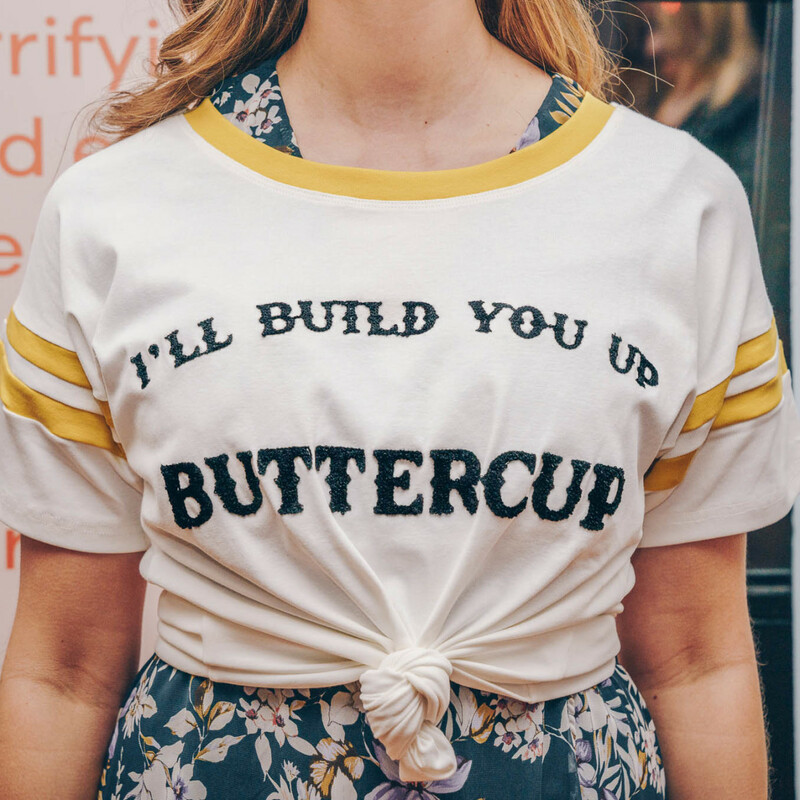 The lowdown: On January 24, Bumble and Understated Leather hosted a VIP event at Antone's Upstairs for the launch of their newest collaboration — an exclusive, limited edition T-shirt with 100 percent of the proceeds benefitting The Kindness Campaign. 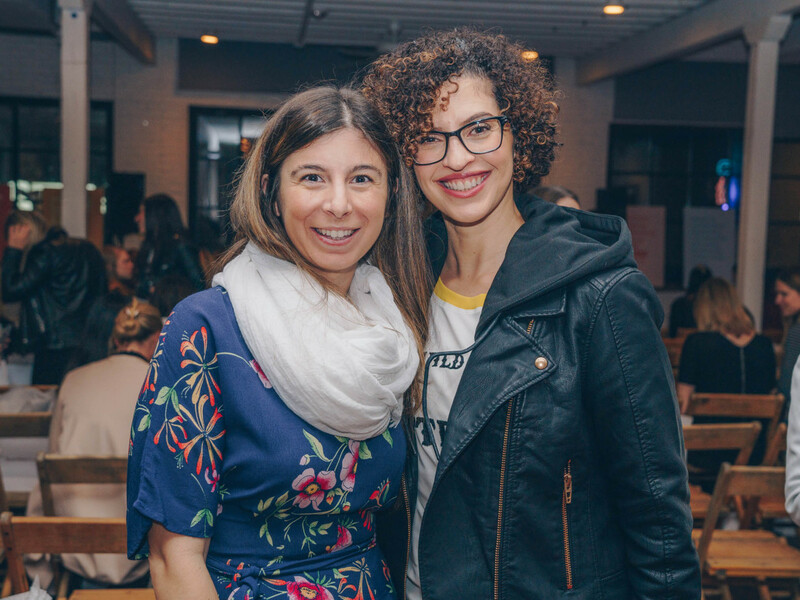 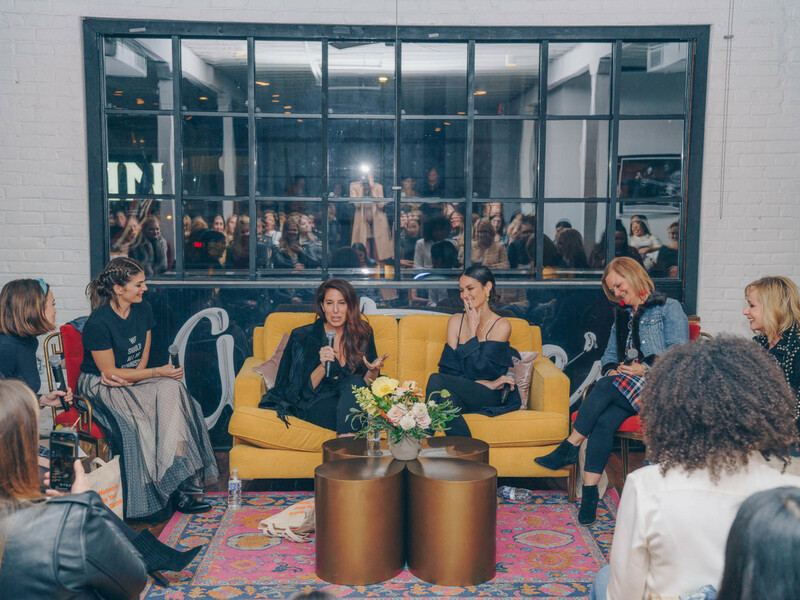 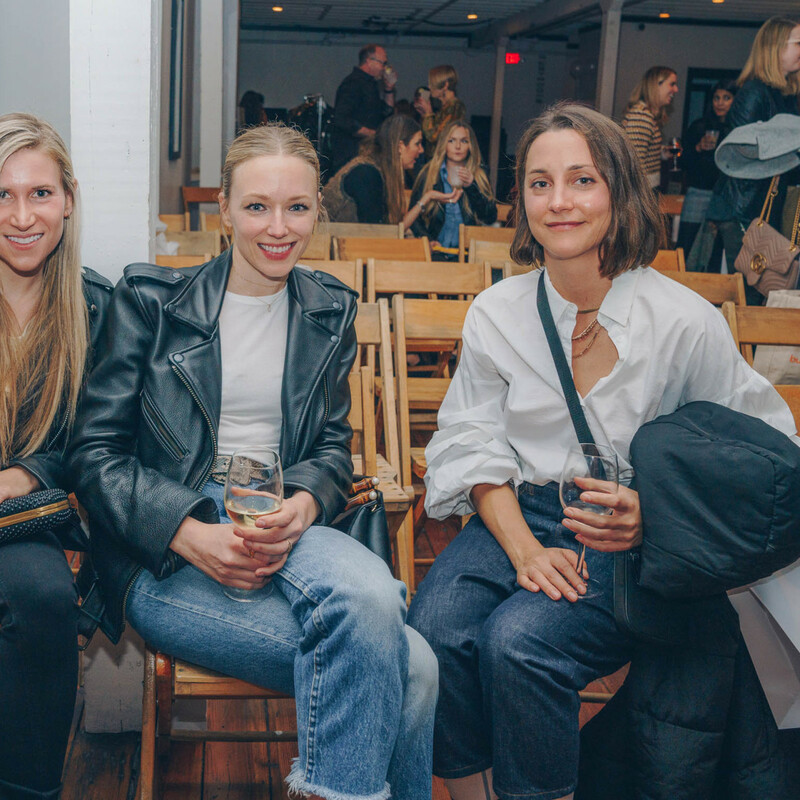 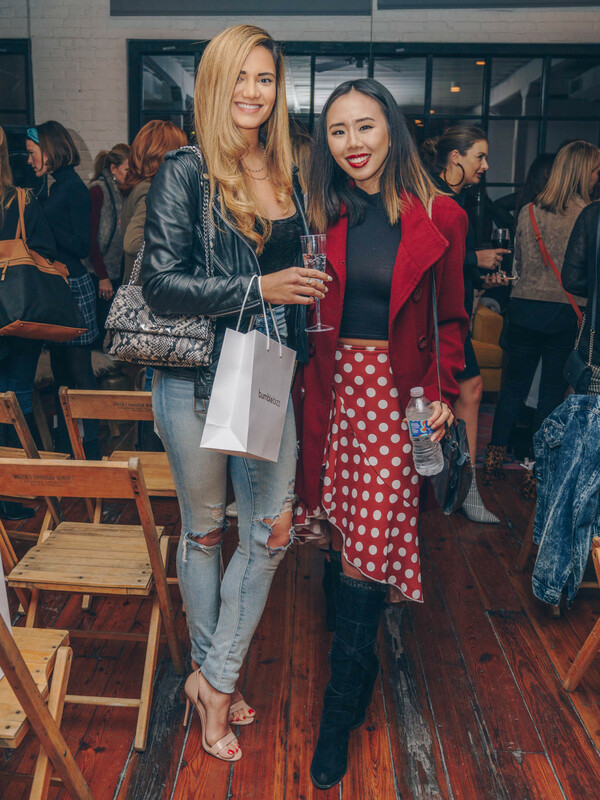 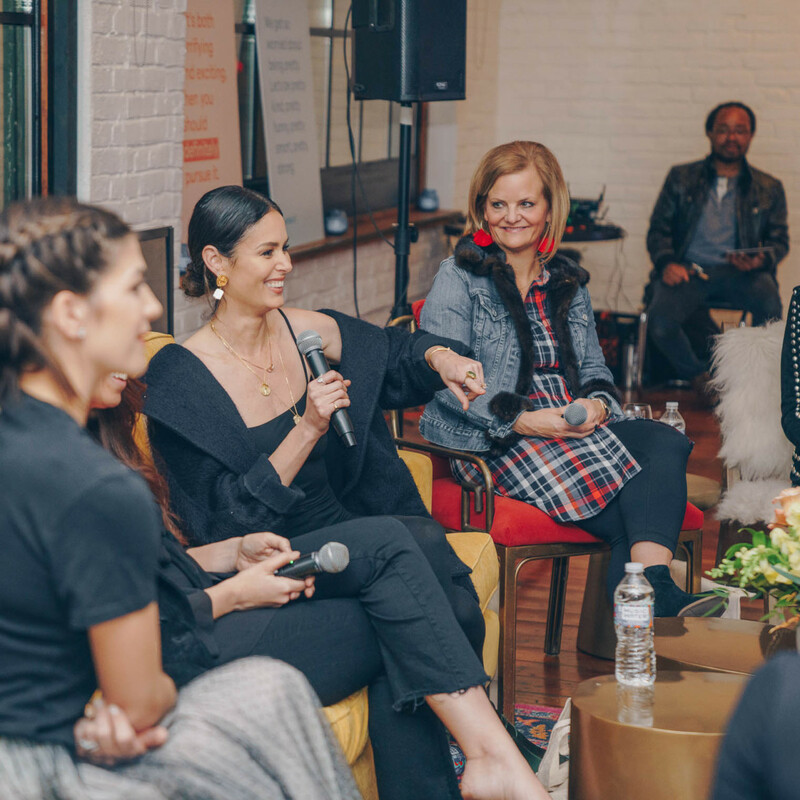 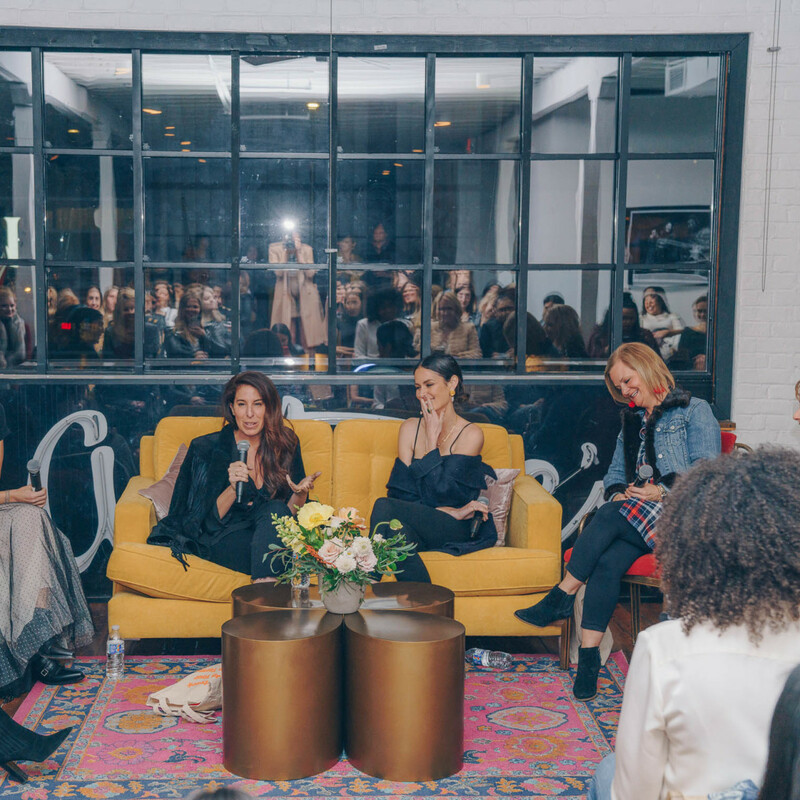 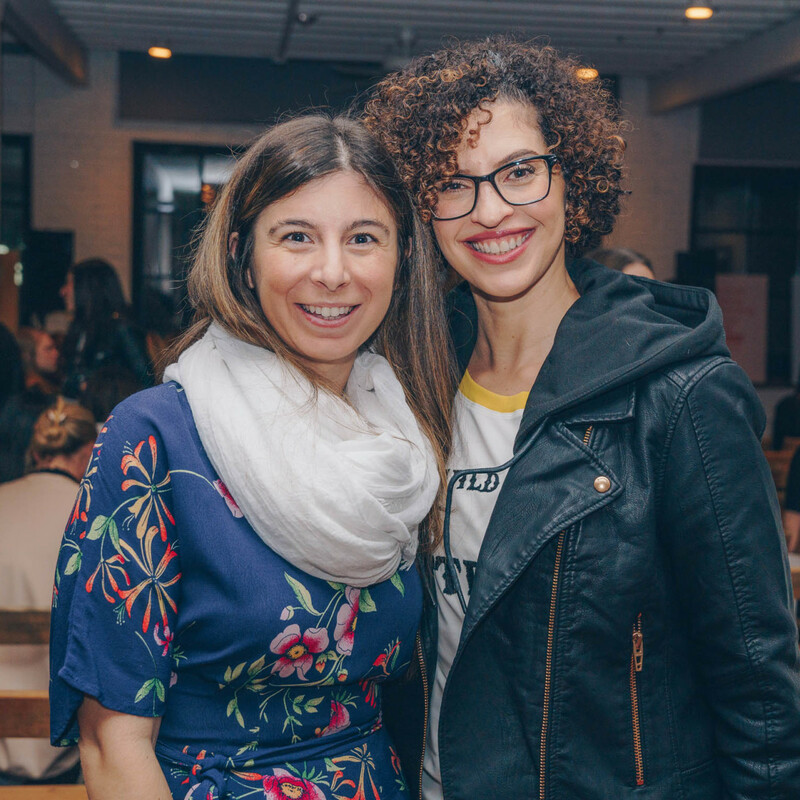 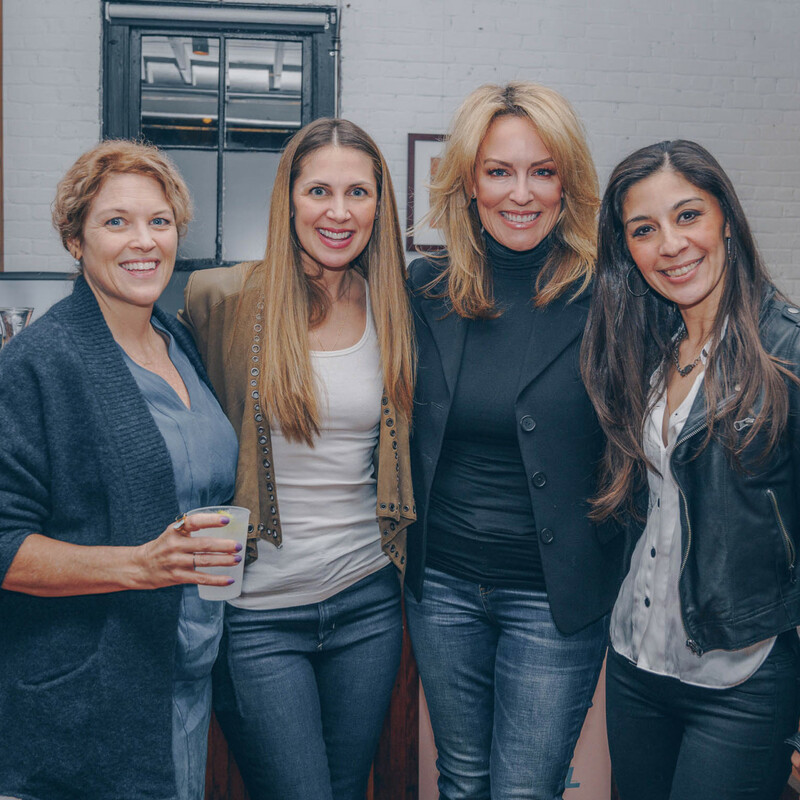 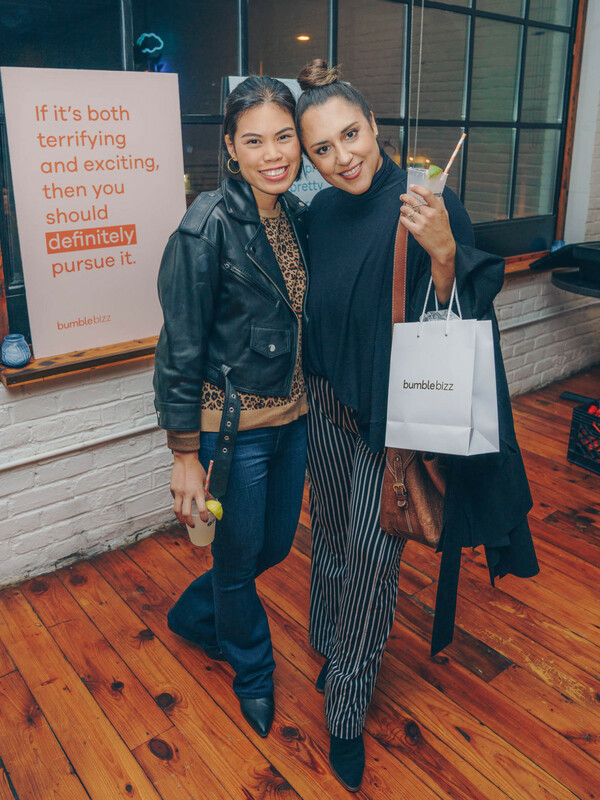 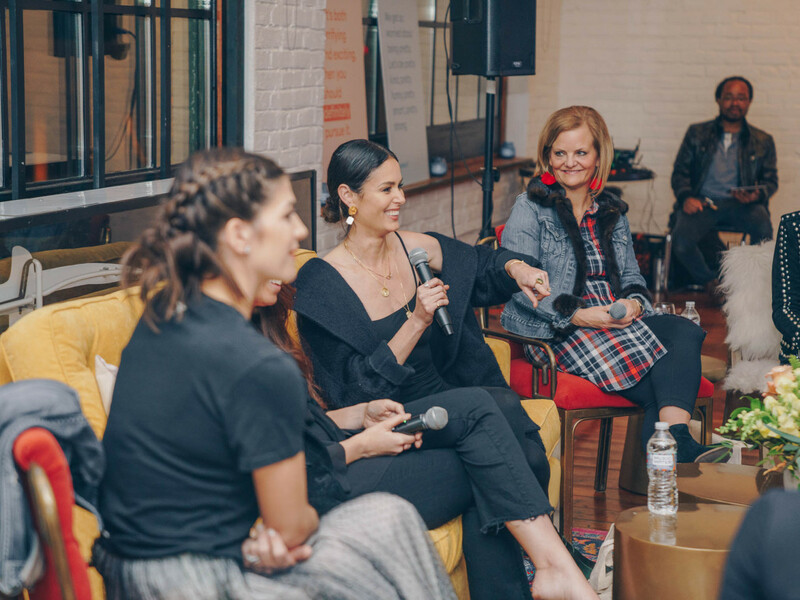 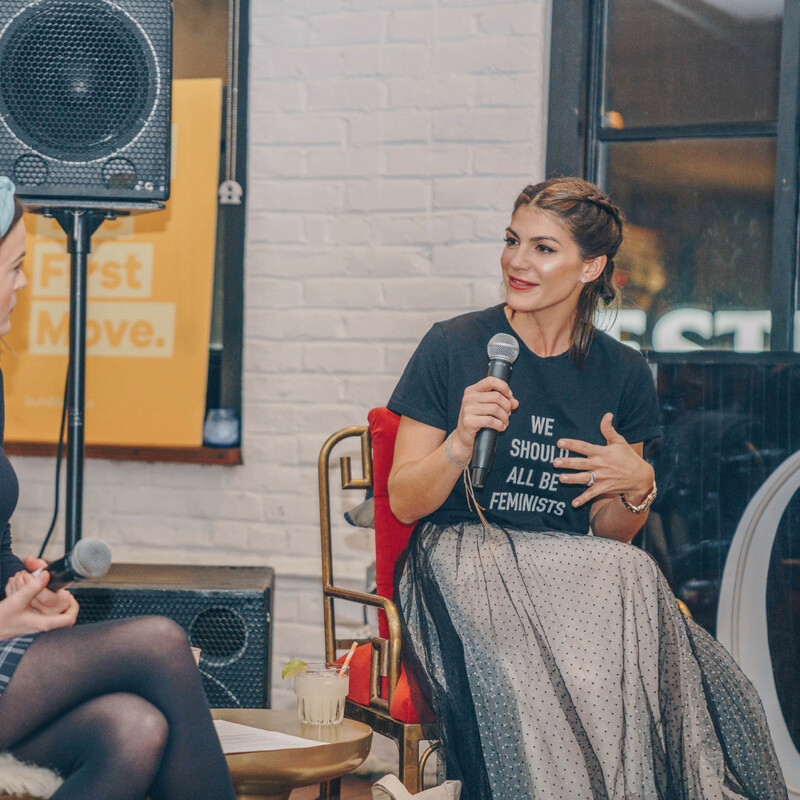 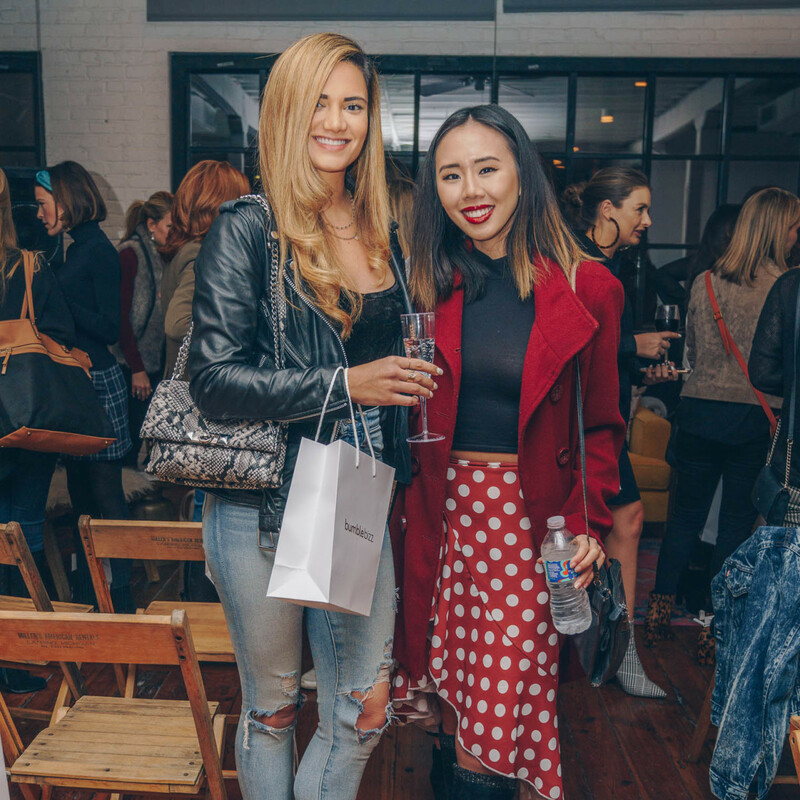 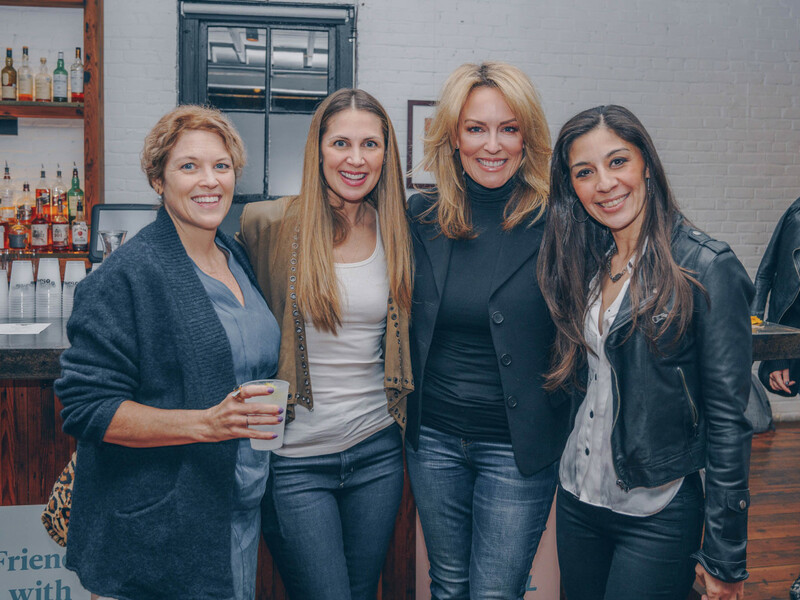 The event featured an intimate discussion on female empowerment and entrepreneurship with Alex Williamson, head of brand at Bumble; Nicole Trunfio of ETCH AND TRUNFIO Universe; Genevieve Padalecki of Now & Gen; Jennifer Kassell of Understated Leather; Melinda Garvey of Austin Woman and On The Dot Woman; and Andra Liemandt of The Kindess Campaign and The Mrs.
Cocktails in hand, attendees mixed and mingled while trying on leather jackets from Understated Leather — and their new "I'll Build You Up Buttercup" shirts, which are designed to raise awareness about the Kindness Campaign. 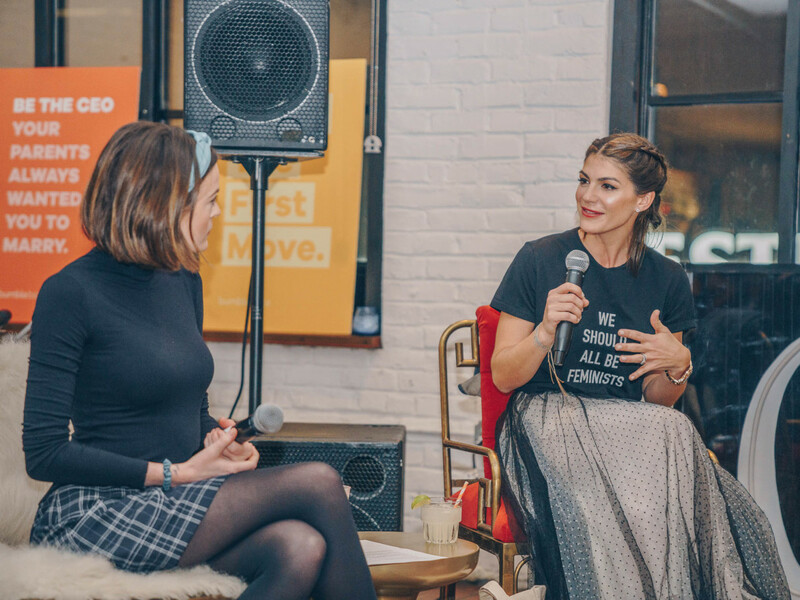 In addition to the panel discussion, guests were treated to a performance by The Mrs.
Who: Alex Williamson, Genevieve Padalecki, Nicole Trufino, Lauren Petrowski, Ali Marszalkowski, Allee Bennett, Erica Brennes, Pamela Edmonds, Roslynn Castillo, Melinda Garvey, Andra Liemandt, Kimberley Skinner, Janet Torres, Amanda Tatom, Stephanie O'Neill, Tareen Alam, Emily Wright, and Justin Balanon.